Smokestacks from a coal-fired power plant. Photo credit: onepony via Bigstock. A new report has once again underlined the fear that the world is failing to contain greenhouse gas (GHG) emissions. The annual bulletin, released by the WMO (WMO), observed an increase of GHG emissions into the atmosphere during 2017; though the increase was smaller than that of 2016. In 2017, the report concluded, carbon emissions, methane emissions and nitrous oxide emissions reached new heights. Carbon emissions in the atmosphere stand at 405.5 parts per million (PPM). Many scientists and campaigners argue that to achieve a livable climate that number would need to come down to 350 PPM. WMO says that since 1990 there has been a 41% increase in total radiative forcing – the warming effect on the climate – by long-lived GHG. CO2 accounts for about 82% of the increase in radiative forcing over the past decade. While the world continues to burn fossil fuels and undertake other industrial activity that contributes to increased GHG emissions, the UN body said that this new increase is unexpected. WMO Secretary-General Petteri Taalas said that their findings were alarming, “The science is clear. Without rapid cuts in CO2 and other greenhouse gases, climate change will have increasingly destructive and irreversible impacts on life on Earth. The window of opportunity for action is almost closed. The last time the Earth experienced a comparable concentration of CO2 was 3-5 million years ago when the temperature was 2-3°C warmer and sea level was 10-20 meters higher than now”. The report flagged up warning signs towards a lesser-known GHG: chlorofluorocarbon (CFC-11), a potent GHG that has been found to deplete the ozone layer. They found that usage is up again since 2012. It had been declining due to the regulation under the Montreal Protocol. The cause of the increase is most likely due to the usage in eastern Asia. The European Union had initially led the phase-out of CFC-11, and in 2007 approximately 200 countries agreed to accelerate the elimination of hydrochlorofluorocarbons entirely by 2020 in a UN-sponsored Montreal summit. Developing nations were given until 2030. The UN body says that carbon emissions, methane emissions and nitrous oxide emissions, as well as emissions from CFC-11 and CFC-12, corresponds to 96% of radioactive forcing. When it comes to climate change, WMO is adamant the CO2 is still the single biggest threat in the atmosphere and contributes 66% of radioactive forcing. It is up 146% since the pre-industrial era. 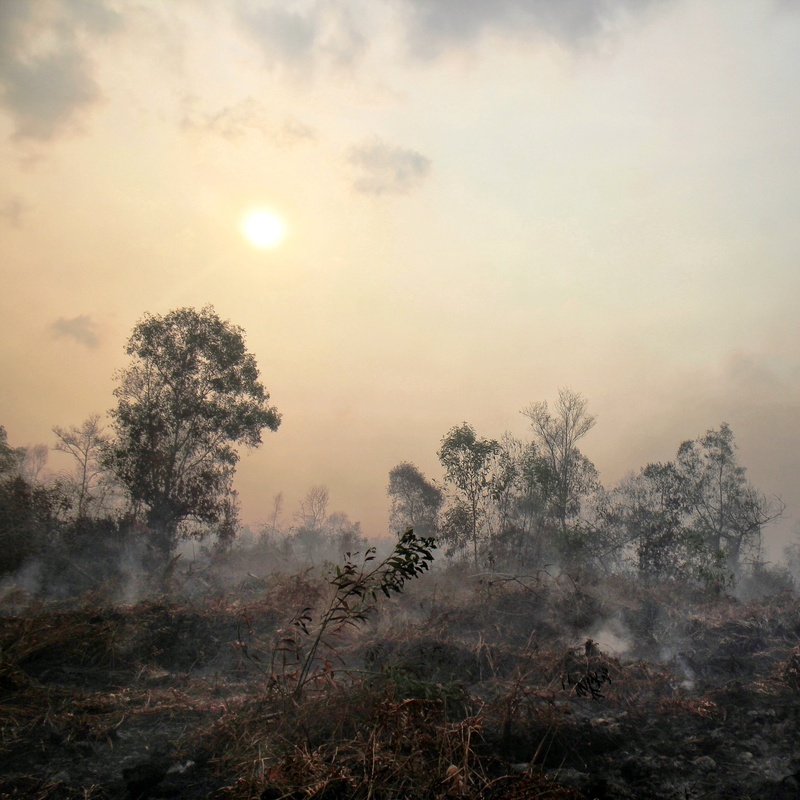 They highlight that the increase was smaller than the record leap observed from 2015 to 2016 under the influence of a strong El Niño event, which triggered droughts in tropical regions and reduced the capacity of “sinks” like forests and vegetation to absorb CO2. There was no El Niño in 2017. Next is methane which has a far shorter lifespan but is a much more potent GHG. It is responsible for 17% of radioactive forcing. Approximately 40% of methane is emitted into the atmosphere by natural sources (e.g., wetlands and termites), and about 60% comes from human activities like cattle breeding, rice agriculture, fossil fuel exploitation, landfills and biomass burning. In 2017 atmospheric methane reached a new high of about 1859 parts per billion (ppb) and is now 257% of the pre-industrial level. Nitrous oxide is the third most important GHG and has a radioactive forcing of 6%. It is emitted from both natural and human forces such as oceans, soils, biomass burning, fertilizer use, and industrial processes. The increase from 2016 to 2017 was higher than that from 2015 to 2016 largely owing to increased use of fertilisers in the agriculture industry. Its atmospheric concentration in 2017 was 329.9 parts per billion. That is 122% of pre-industrial levels. It also plays an important role in the destruction of the stratospheric ozone layer which protects us from the harmful ultraviolet rays of the sun. It accounts for about 6% of radiative forcing by long-lived GHG. These findings come just over a month after the Intergovernmental Panel on Climate Change (IPCC) released, ‘Special Report on Global Warming of 1.5°C’. The report said that net emissions of CO2 must reach zero (the amount of CO2 entering the atmosphere must equal the amount that is removed by sinks, natural and technological) around 2050 in order to keep temperature increases to below 1.5°C. And it comes just before climate negotiators meet in Poland for UN’s annual climate talks. A sobering post. Thanks for the update on this, the most important issue we face on this planet.